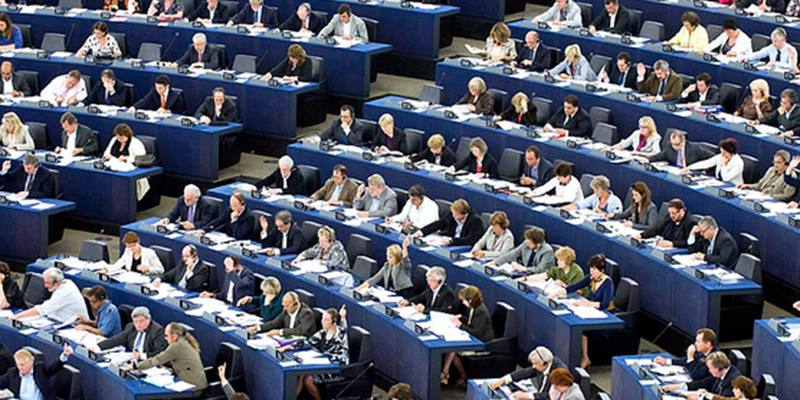 Should the European Parliament have more power? Last month, a group of ten European foreign ministers produced a report (PDF) suggesting that the EU may need to transform itself into a US-style federation in order to survive as a global player. The group, which includes the foreign ministers of Germany, Italy and Spain, proposed a series of ideas worthy of further debate, including a suggestion that the posts of EU Council President and EU Commission President be merged into a “directly elected Commission President who chooses the members of his ‘European Government'”. They also put forward the idea of a stronger European Parliament with the “ability to initiate legislation” and a “second chamber” composed of national politicians, to complement the existing Parliament. We’ve been having our own debate on the future of Europe, and you’ve been sending us in your own ideas and suggestions (some of them very close to those suggested by the group of foreign ministers). Last week, we took some of your ideas to Julian Priestley, the former Secretary-General of the European Parliament, to see how somebody familiar with the inner workings of the Parliament might respond. 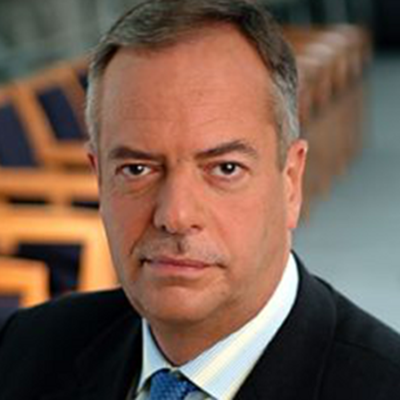 Sir Julian Priestley has, in an article for Europe’s World, proposed his own solutions to the EU’s “democratic gloom” – but how would he respond to our readers’ suggestions? People shouldn’t get thrown by the jargon. Actually things are not quite as complicated as they seem. And I also don’t accept this term of the ‘democratic deficit’ – I think it’s actually a journalistic cliché, if you’ll forgive me. I think it doesn’t describe the problem there is, a problem that exists in part because the European institutions haven’t always been terribly successful in explaining what they do in language that people can understand. But what they do, and the actual decisions to be taken, aren’t always as complicated as they seem. Last month, we also put Jovan’s comment to EU blogger Jon Worth, who responded that what’s really lacking in EU politics is that “left / right” political divide that voters can identify with. Would you agree? Do we need to see greater “party politicisation” of EU politics? Well, I agree with Jon. I think that we DO need more political engagement and competition between political parties… One other thing which I think is good is that national politicians from one member-state are now getting more involved in elections in other member-states. I entirely welcomed Chancellor Merkel’s intervention in the French political campaign, and I will entirely welcome the inevitable intervention of President Hollande in the next German political campaign. Next up, we had a suggestion from Ermanno, arguing that the “very first step to build a real European democracy is to give to MEPs legislative initiative.” At the moment, only the Commission can propose new laws. Should the European Parliament take over that role? I don’t think Ermanno is right. I think that the [Lisbon treaty] gives the Parliament a battery of powers, actually greater than some of the powers of parliaments of member-states. In which member-state parliament can the parliament over-rule the government in terms of the ceiling for expenditure each year? In which member-state parliament do parliamentarians really shape legislation? I fear that, if you give the right of initiative away from the Commission, the body which will sieze that initiative will first and foremost be the European Council, and we would unwittingly contribute to the idea that the Commission became more and more the secretariate of the Council. Next, we took a suggestion from blogger Craig, who argued that the position of EU Council President (currently occupied by Mr Herman Van Rompuy) and Commission President (currently occupied by Mr José Manuel Barroso), should be merged into a single post. There is a case for merging the role, so that the President of the Commission should preside the European Council. I see no objection to that whatsoever, and it is true that this plethora of presidents confuses people. I, personally, would not be in favour of the direct election of the President of the Commission / European Council, because I think that would set up a great degree of competition with elected leaders in the member-states… I believe in a parliamentary system, and a parliamentary system emerges with the President of the Commission being capable of relying on the majority of the votes in the European Parliament. That, to me, is a good parliamentary system. And the good thing, now, is that there will be public involvement in the selection of the President of the Commission, because the political parties are going to have to say before the [2014 European Parliament elections] who their candidate will be. This is not ‘X-factor’. This not ‘Strictly Come Dancing’. This is the business of trying to organise complicated institutions and lead them. I’m not going to get into a discussion about who does this better and who does this worse; if you want my personal view, we had a period of outstanding leadership of the Commission when Jacques Delors was President for 10 years in the mid-1980s, and I think that set the standard. When it came to choosing Mr Van Rompuy, there were those from my own country who thought that former Prime Minister Tony Blair would stop the traffic in Beijing. That might well have been the case, but he, I think, would have come across very difficult and intractable problems that Herman Van Rompuy has come across, and he might not have been better equipped for dealing with them. Of course, you want presidents to communicate better, and I think that all the institutions are making more effort, but lets not get trapped into thinking that politics is a celebrity or show-business event. We need serious people for serious times. Several commenters have suggested that more direct democracy is needed in the EU. Vicente and Catherine, for example, both put forwards the example of Switzerland as a country that regularly holds popular referendums on political decisions. Should the EU try to emulate the Swiss model? I totally disagree. The European system rests on the principle of parliamentary democracy. You elect parliamentarians to use their judgement. If we’d had referendums as the main source of decision-making, we wouldn’t have achieved half the progressive changes that have been made. In my own country, you would not have had legislation on divorce, you would not have had legislation on abortion, you would not have had legislation about gay rights, etc. If you had waited until you had referendum support, you would still have the death penalty. We trust our parliamentarians to make the right decisions. If we don’t like the decisions they make, we get rid of them, and that’s a much better, healthier system than referendums that are never on the subject which is the formal matter under consideration and always stray into other things. And referendum campaigns can, quite frankly, be bought. What do YOU think? Should the EP have more power? Or does it already have more powers than many national parliaments? Would a directly-elected Commission President help make the EU more democratic? Or do the principles of the European political system rest on parliamentary democracy? Let us know your thoughts and comments in the form below, and we’ll take them to policy-makers and experts for their reactions. should the current structure of the union dissolve? With a directly chosen president (USA-system), there is too much a chance of populism. We would better use the french system, where a president is directly chosen, but with an indirect elected prime minister to share the main executive power, or the german system, like we now approximately do. Direct election ok, but with all checks and balances including accountability vs Parliament. No, it wouldn’t solve the problem at all. Yes, indeed, the EU suffers from an obvious lack of democracy and filling the gasp between the european peoples and the decision makers should be one of top priorities of the Union. However, it’s high time to be said that this lack of democracy is a product of the exagerated powerful States in the Union institutional armature. Democracy can only come from the instauration of a federal system in which such an institution as the European Council has no place : States’ interests are already represented by the Council of the European Union. This goes with the abandonment the Treaties and the adoption of an European Constitution by a european referendum or by a qualified majority of the Council of the European Union and of the European Parliament. Delegating more rights in this case, more countries and more responsibility for the leaders of Parliament. Create a strong, powerful and representative Government Structure of the World Economic horizon and solidarity means discounts on framing of a common purpose and dignity to the founding in January Know and respect the rights and honor of the nations decided to form the European nationality and self-esteem! Rights expressed will of governments on European Union establishes a strong, not weak form of state unity and if it is necessary further delegation, it must obtain such! USA……, there is nothing more to say. As a believer in democracy as the best system we have collectively arrived at generally, then all those who hold public office and represent and speak on behalf of the public should be elected by democratic vote. A caveat to that is the figurehead which has no input into policy, like most royal families still in existence having ceded any regulatory powers to democratically elected institutions be they presidents or parliaments and exist for traditional reasons of pomp and ceremony, tourist oddities and perhaps most importantly a continuation of a link to national history and national identity (good, bad or indifferent). It therefore follows that European Commissioners and European Presidents should be democratically elected if they are to have any significant power over the European populous. There is the argument that they are appointed by our democratically elected representatives and therefore are in an obscure way, de facto democratically elected if not de jure by popular vote. An argument that doesn’t hold much water with me personally it has to be said, as I consider such appointments a result of democracy between member states rather than appointments via democracy of the people. Even appointments such as Mr Shultz, despite his being a democratically elected MEP, fly in the face of democracy when it is quite clear historically, looking at those who have previously held his current position, that the EPP and others simply take turns at holding the parliamentary presidency in some form of gentleman’s agreement/party rotation system. All of that said, given the number of commissioners, their length of tenure and general anonymity as far as most EU citizens are concerned, how much would it cost to ballot every European citizen to vote for people they have never heard of? Would it be a very good way to raise the profile of the EU and its commissioners or would it be a waste of money with low turnout and an “x” in any box as most have no idea what these people stand for or where they came from? Herein is the problem I tried to convey with my above quote about managers vis a vis leaders. A good manager is not the same as a good leader and a good leader is not necessarily a good manager. A leader is a visionary, a charismatic personality who takes people with them through personality and energy. A manager more often than not delivers somebody else’s vision and deals with the implementation of strategy. The EU is devoid of charismatic visionaries. Jaques Delors was indeed probably the last genuine leader to grace the corridors of the Brussels bubble in an EU role. Nobody since him has had the ability to carry national capitals with them the way he did. Those politicians who are fairly well known and do have significant energy, such as Carl Bildt, work for their nations and not the EU. Mr Bildt’s job is to represent the interests of his nation which may not always be the same interests as the EU. Quite rightly – that is what he is paid for. In fact most politicians worth their salt work for their national governments and not the EU which may go some way to explaining the void in top quality candidates within the EU. As a voter, I would want the best to represent me at a national level as not everything a nation does is done through the EU. An awful lot is still done bilaterally and I would want the best available to represent my nation in any bilateral negotiation. Should the EP have more power? As far as I am aware it is already on course to get more power by 2014 whether it should have it or not. Should that happen, it will be interesting to see if more, or less, items are just waved through the European Council agenda or whether there will be more serious debate over many more things and an even slower bureaucratic turnaround than already exists is the result. A last thought relating to elected presidents and commissioners is, which electoral system would be used for commissioners? The same as MEPs? As some member states employ first past the post voting, others proportional representation, yet others half and half for national voting, which system would apply to an EU wide vote and would the European population understand the voting system they were voting in given that it would certainly be alien to their national systems for some. I’m sure in the short and medium term, the EU will muddle through somehow as it always does, either more, or less, democratically than today, whilst we wait for the next Jaques Delors to arrive and provide some leadership and vision to save it from itself. What you have to ask before you suggest having more power is, ‘do you deserve more power’? If a set or group of individuals running a combination of States has failed fiscally in their duty and seemingly have no sensible way out of the mess they are in, why would they believe the people they rule over should give them more power? Does that sound like good thinking to you? To deserve such an honour means, being specific about the power you want and to do what with? To do what exactly? I mean not a vague reference to the policies you envisage a full outline? Why will it benefit the tax payers of the EU? What will they gain from spending more in this situation? Or, rather, how much will this move you ask for deepen the horrific debt we are already in? What will you do with this power? What is the vision you have if you are given such power? And why do you believe you can pull it off? Your track record isn’t very good is it? If it’s anything akin to the mess you have already created, with social engineering, financial collapse. unrestrained immigration and other matters you simply have shown no aptitude for, we, the European people, would be out of our minds to sanction more ‘austerity’ for us all, when so many of our European partners are starving. So tell us, what will you use this ‘more power’ you want for? And whilst we are at it, how many more of you will be needed to cope with all this extra power? And how much will it cost the tax payer? Will you be looking for an increase in your pay? And if so, how much of an increase? What do we the UK have in common with the Europe? Answer: nothing. What benefits has Europe brought to the UK? Answer: mass flocks of Eastern Europeans. What does the EU fear? Answer: a referendum. I would like to see the European Parliament be given more power, but to be effective, European wide political parties may have to develop as proportional representation usually results in instability.